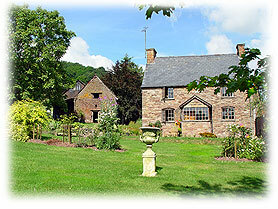 The Pitt Farm is a cosy traditional country stone farmhouse. It is nestled quietly in the stunning countryside of the famous Golden Valley. Comfortably furnished. We have one double and one twin bedroom. Each room has en-suite bathroom, colour television, tea and coffee making facilities. We will try to accommodate other special wishes on request. We are fully equipped with telephone, fax, e-mail and internet access. Pitt Farm B&B open the year round. The Pitt Farm is an ideal place to unwind from the stress of life. Allow us to make you feel special.